industry standard in line releases and other trolling aids. These days downriggers have evolved into highly sophisticated electronically mastered trolling aids that cost thousands of dollars. Ironically, I still routinely see anglers using a two cent rubber band as their downrigger line release! Logic like that makes me scratch my head because the downrigger line release is the most important part of any downrigger set up. If the line release is too weak, not enough resistance is put upon the fish when it strikes and a lousy hook set results. More times than not, these fish shake off before they can be landed. If the tension setting on the line release is too heavy, a fish may be hooked solidly but dragged along at depth because it’s impossible to trip the release from the surface. 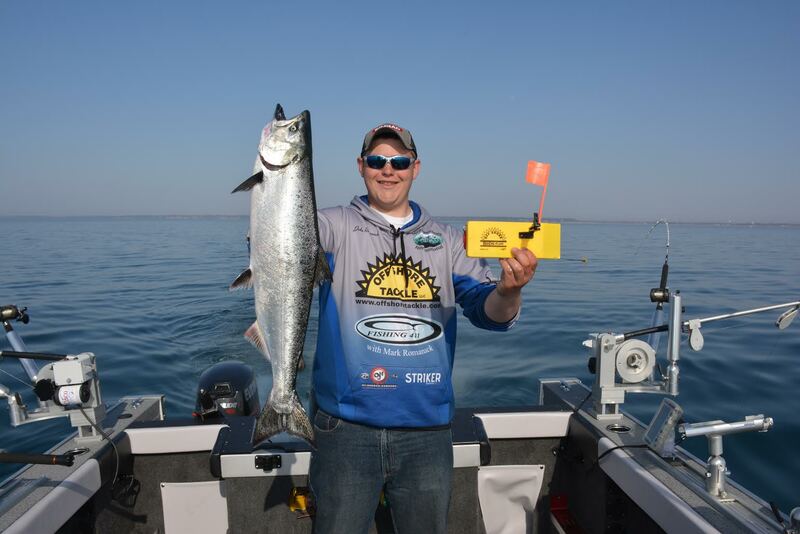 It seems that everyone wants to use one downrigger line release that serves every fishing situation. That simply isn’t practical or possible. 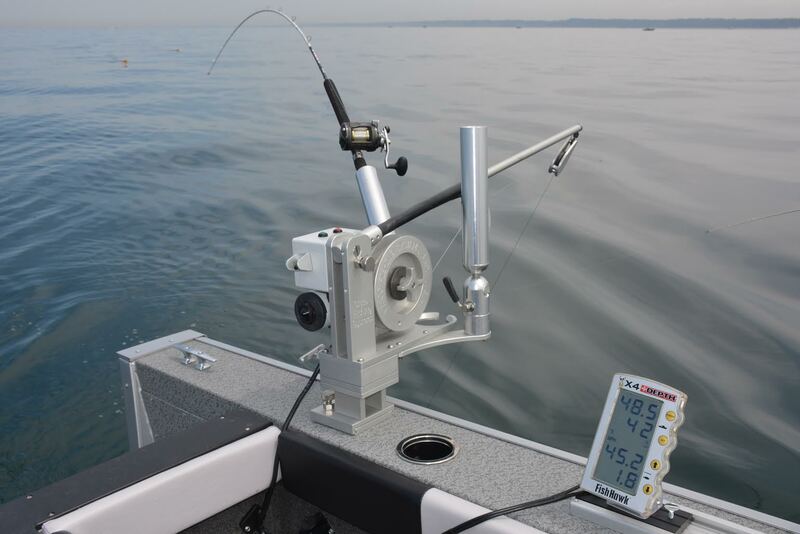 Traditional pinch pad style downrigger line releases are designed to function with certain line types, line diameters and at specific trolling speeds. When this simple engineering logic is ignored, anglers run into all kinds of problems getting line releases to function properly. This is precisely why Off Shore Tackle, the nation’s leading manufacturer of line releases, produces a host of products designed to meet the needs of all open water trolling situations. The OR1 Medium Tension Downrigger Release was the first product introduced by Off Shore Tackle decades ago and this release continues to set the industry standard. 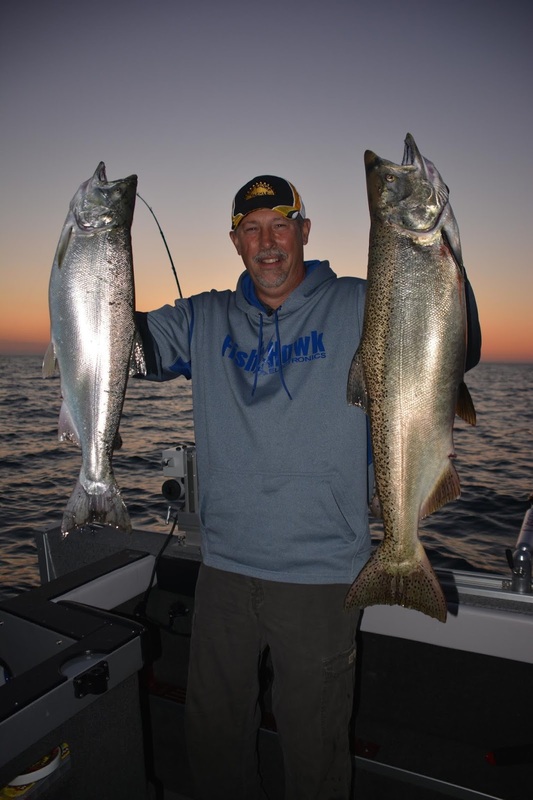 Designed to function with 10 - 25 pound test monofilament line and trolling speeds from 1.5 to 4.0 MPH, the OR1 is clearly the leading choice for anglers after king salmon, lake trout, steelhead and other larger fish species. The OR4 Light Tension Downrigger Release was introduced to fill the niche created by anglers who fish for smaller species like walleye, brown trout, pink salmon, spring coho, kokanee and in-land lake trout fishing applications. Designed to function flawlessly when used with 10 - 25 pound test monofilament, this release is ideal for slow to moderate trolling speeds. The OR8 Heavy Tension Downrigger Release boasts a tension setting heavy enough to troll with large attractors, rotators, flashers, cow bells, lead drop balls, lead core line and other heavy gear. 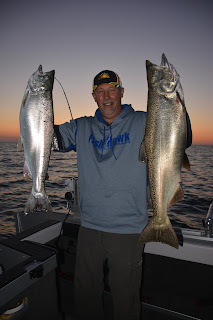 The double spring on the OR8 makes this release very popular with deep water salmon fishermen, musky trollers and guys who troll in saltwater fishing applications. The OR8 functions flawlessly with 20 - 60 pound test fishing line and at trolling speeds up to six knots! use certainly are. A downrigger is only as good as the line release used. The next time you reach for a rubber band as a downrigger line release rethink that decision. Not only do rubber bands not have the stretch and strength characteristics needed to function as effective line releases, they rot away in the sunshine almost as quickly as they come on board! If you have a lot of rubber bands already on board... no worries because they do have a practical function on a fishing boat. Use them to bind your two piece trolling rods together between fishing trips or if your prefer braid your hair into pony tails!